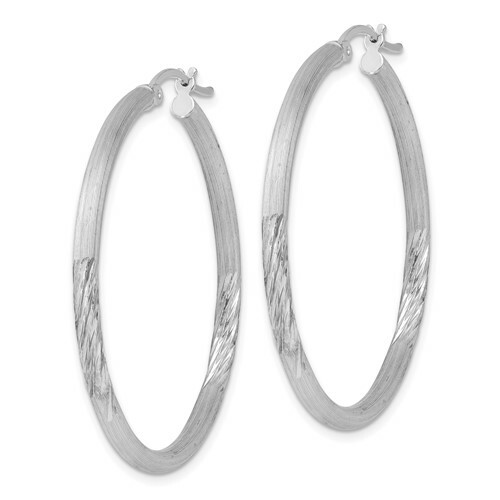 Sterling Silver 2.50mm Satin Diamond-cut Hoop Earrings. Weight:3.51 grams. Measures 1 1/2 inches tall.